Kullervo Manner (1880–1939) served as Speaker of the Finnish parliament with a socialist majority in 1917. In 1918, he became Chairman of the People’s Delegation that governed the so-called Red Finland. Towards the end of the civil war, Manner briefly held dictatorial powers in the red administration. Kullervo Akilles Manner was born in October 1880 as the son of a clergyman. Manner attended school at Pori Lyceum and Turku Classical Lyceum. He passed his matriculation examination in 1900, after which he worked as a journalist at a conservative newspaper called Uusimaa in Porvoo. After the general strike of 1905, Manner joined the Porvoo Workers’ Association and the Finnish Social Democratic Party (SDP). Manner was one of the so-called November Socialists, who joined the SDP after the general strike. Manner became increasingly committed to the labour movement. He resigned from Uusimaa and founded a newspaper called Työläinen (Worker), which was launched in Porvoo in December 1906. The newspaper’s style was biting and in the first issue Manner declared that the publication sought readers among “the oppressed in society”. Kullervo Manner moved to Helsinki in 1910 and joined the staff of the SDP’s largest newspaper, Työmies, where he worked until the 1918 civil war. Quick-witted Manner, who was a good public speaker, started to make a name for himself, strengthening his position in the Social Democratic Party. He became chairman of both the SDP Uusimaa District Association and the Helsinki Municipal Assembly. Manner was elected to parliament in the 1910, 1911, 1913, 1916 and 1917 elections. His bold agenda, which emphasised the class struggle, induced antipathy among many of the more moderate party members. He found a supporter in another of the party’s left-wing MPs, Otto Wille Kuusinen. In 1911, Manner was sentenced to six months in jail for lèse-majesté. He asked for permission to perform his MP’s duties during his sentence, which he had received for an article he wrote in Työläinen. The permission was denied. Manner’s position in the Social Democratic Party grew stronger in the 1910s. In 1913, Manner was offered the position of Speaker of the parliament. However, he turned down the offer. According to SDP policy, a representative of the party could accept the position of the Speaker only if the parliament was under threat. By 1917, Kullervo Manner had risen to a prominent position in the party. He was in the official delegation which on 18 March started for St. Petersburg in order to negotiate with the provisional government. In its manifesto published on 20 March the provisional government revoked the Russification measures. However, they did not agree to the social reforms proposed by the SDP. The provisional government also convened the Finnish parliament elected the previous year. The Social Democrats had won the majority in the 200-seat parliament with their 103 seats. At the beginning of April, the parliament elected Kullervo Manner as Speaker with 104 votes. In his inaugural address on 11 April, Manner expressed the view that the Finnish people needed their own equal place in the coming permanent brotherhood of peoples alongside free Russia. According to Manner, Finland’s situation as a state did not correspond to the high level of development of the nation, nor did it satisfy the people’s need for progress and their hunger for Finnish culture. In the SDP party congress in June 1917, Manner was elected Chairman of the party. As Speaker of the parliament, he was crucial to the events of summer 1917, which led to the decision of the Russian provisional government to dissolve the Finnish parliament. Since the March revolution in Russia, the parliament had been discussing Finland’s relationship with the Russian provisional government. The so-called Power Act, which had been passed on 18 July with 136 votes for and 55 against, was designed to transfer the supreme power wielded in the country by the Emperor-Grand Duke to the parliament, except for foreign policy and military affairs. The decision was influenced by the fact that the Russian provisional government appeared to be falling. However, the attempted Bolshevik coup in July failed. The Russian provisional government responded to the Power Act by issuing a declaration for the dissolution of the Finnish parliament on 31 July. According to the declaration, the Finnish parliament had exceeded its powers by unilaterally restricting the powers of the forthcoming National Constitutional Assembly of Russia. In Kullervo Manner’s view, the dissolution of the parliament was illegal and the Social Democrats backed him. In accordance with the unanimous decision by the Social Democratic parliamentary group on 28 August, Manner called the parliament to convene the next day. As soldiers blocked access to the Heimola house where the parliament used to convene, the representatives assembled in the House of the Estates. The assembly voted in acceptance of an objection to the dissolution of the parliament. The weakening of the Russian provisional government’s position in September 1917 emboldened Manner. He called the dissolved parliament to convene again on 28 September, just a few days before the new parliamentary elections imposed by the Russian provisional government. Only the Social Democratic parliamentary group followed the invitation. The assembly was little more than a symbolic gesture. The parliament led by Manner was replaced by a new parliament elected in the October 1917 elections. The SDP lost its majority and received 90 seats. From November 1917 to January 1918 Manner served as leader of the Social Democratic parliamentary group. In his view, the previous parliament had been illegally dissolved. In addition, he claimed that the conservatives had won a majority through electoral fraud. He began to speak in favour of non-parliamentarian means. The Bolshevik revolution in Russia in November 1917 led to the Finnish Declaration of Independence. On 15 November, the parliament announced that it now held the supreme powers that previously had belonged to the Emperor-Grand Duke, and on 6 December 1917, it confirmed the Declaration of Independence issued by the Senate. Manner, leader of the SDP’s parliamentary group, presented to the parliament the party’s own declaration of independence which stated that independence should be implemented peacefully through a treaty with Russia. However, the parliament with a conservative majority accepted the Senate’s declaration of independence with 100 votes for and 88 against. The radicalised Social Democrats attempted a coup at the end of January 1918. Kullervo Manner was appointed Chairman (Prime Minister) of the Finnish People’s Delegation, established on 28 January 1918 to serve as the government of the so-called Red Finland. The People’s Delegation tried to govern the southern part of the country under its control through announcements, proclamations, and propaganda aimed at raising people’s fighting spirit. However, the red leadership did not have the resources to cope with the state of emergency. As the German troops, which had landed in Hanko with the intention to assist the Vaasa Senate’s forces, were approaching Helsinki, the People’s Delegation fled to Vyborg. On 10 April in Vyborg, Manner was appointed the dictator of Red Finland. Concentrating all political and military power in the hands of Manner did not save the reds. On 25 April, the People’s Delegation fled from Vyborg and headed for St. Petersburg. The last and decisive battle of the civil war had already begun in the city. Just a few days later, Vyborg fell into the hands of the legitimate government’s troops just like all the other large cities in Finland had done before it. 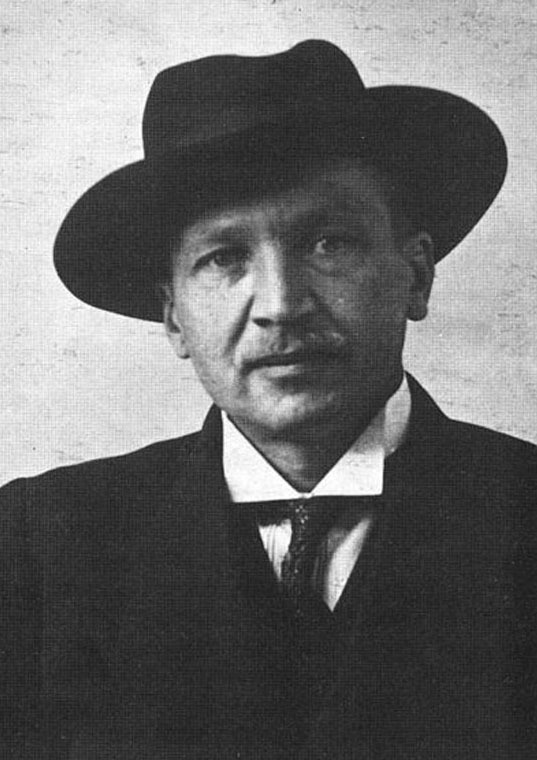 In August 1918, Kullervo Manner, together with other members of the People’s Delegation who fled to Soviet Russia, founded the Finnish Communist Party. He was chairman of the Central Committee of the Finnish Communist Party until 1935. Manner, who had lost faith in parliamentary democracy, started to lean more and more on strict Bolshevism, and published his views in the 1920s and 1930s as a journalist. During the 1920s, he visited Sweden on several occasions in order to organise the underground activity of the Finnish Communist Party. He also visited Germany as a member of a Comintern delegation. Kullervo Manner and Otto Wille Kuusinen, old party comrades, fell out over disagreements over the party line in the late 1920s. Manner lost the power struggle and eventually fell victim to Stalin’s purges. Manner and his second wife, Hanna Malm, were detained in July 1935. Manner died of pulmonary tuberculosis in January 1939 at a labour camp in Komi. He was rehabilitated in the Soviet Union in 1962.